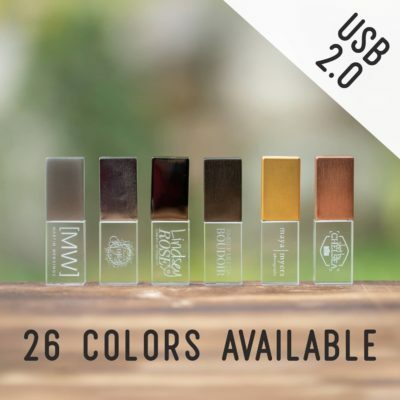 Easy, fun and economical, these faux leather USB flash drive pouches are ideal for many different occasions and make for a great upsell to your clients. Is a branded box overkill for your occasion? Does a personalized folio not make sense for your needs? Well, you’re still in luck! Since we know that every instance of delivering digital images isn’t created equal, we created this fun, easy, and economical way to make a presentation regardless of who you are giving images to. 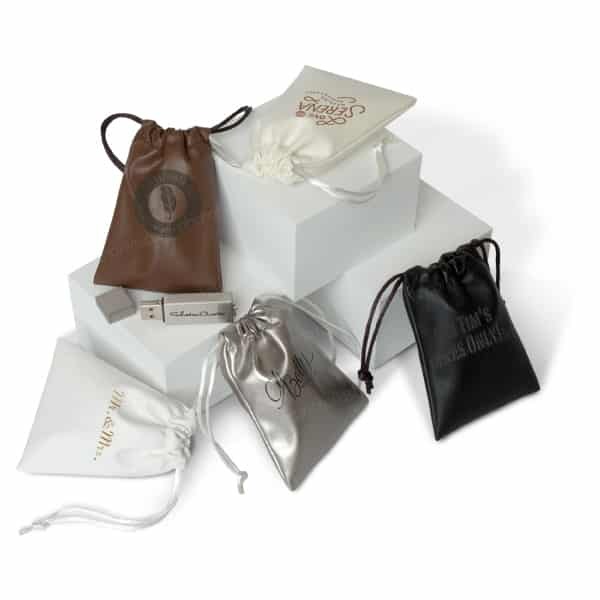 Available in five different colors with either a white or black nylon drawstring, these faux leather pouches allow you to maintain your quality, and “first impression” standards without breaking the bank. 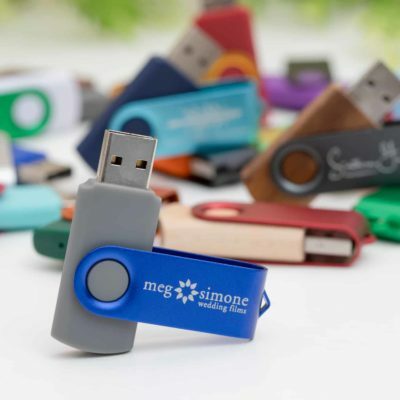 Best of all, each pouch can accommodate any drive we sell and can be laser engraved with a personal message, logo or design at no additional cost! While the color of pouch you choose will determine how the engraved color will appear, you simply can’t go wrong! 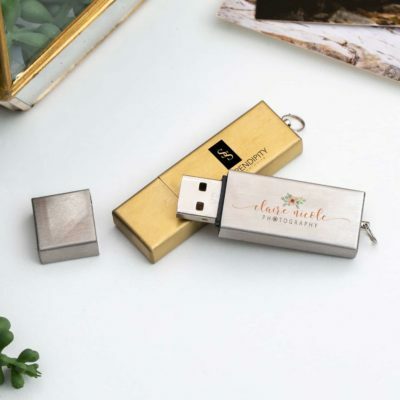 – Offer branded pouches and drives for brides and grooms to give out to their bridesmaids and groomsmen as a post-wedding thank you (perfect for sharing images from the bachelor or bachelorette parties!). – Excellent for any summer camp coordinators to share images from their weekly adventures with campers before they return home. – Team sports photographers can deliver a season’s worth of images in a pouch with the team logo on it. 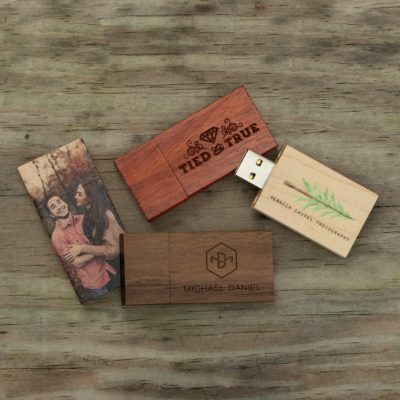 – Great way to deliver family portrait images to all the kids involved in the photo. They’ll love them and feel included!